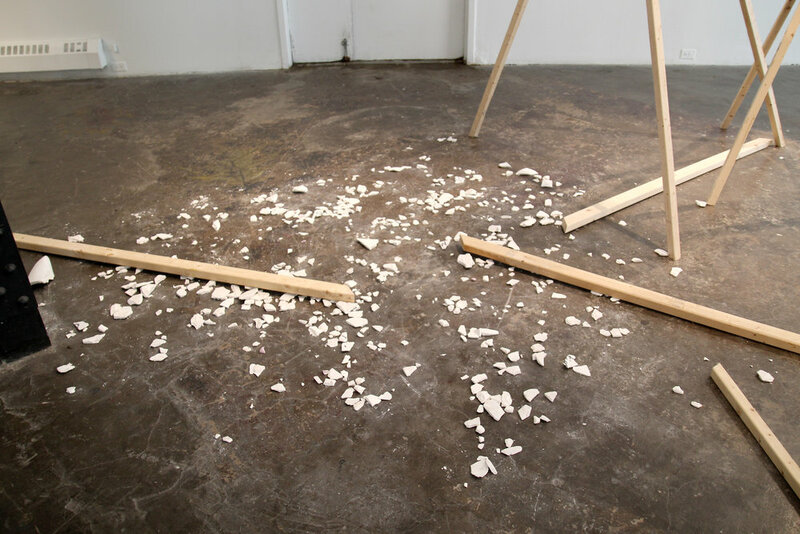 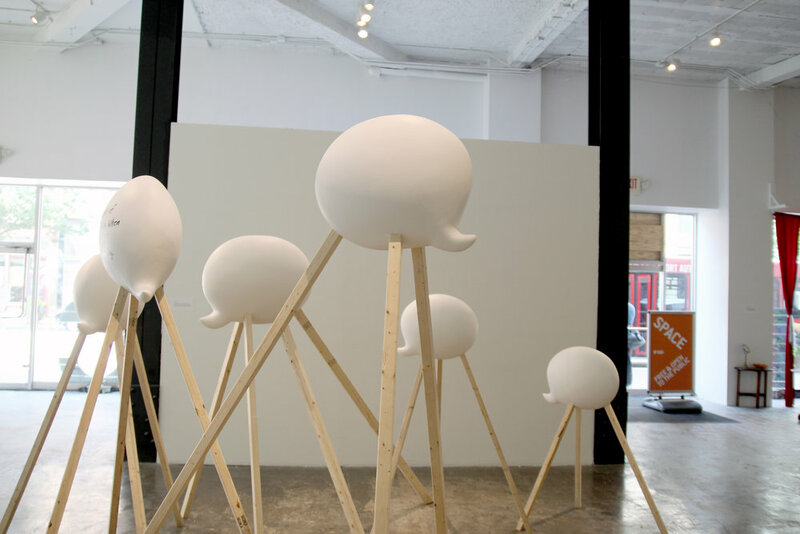 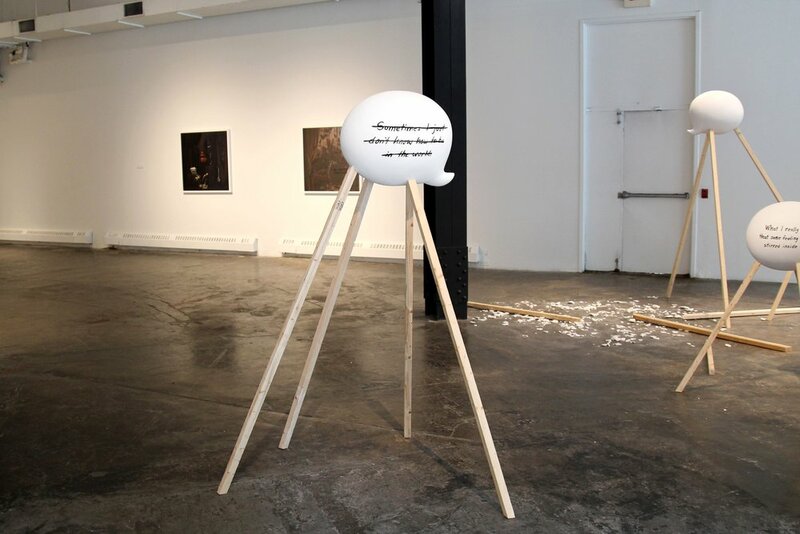 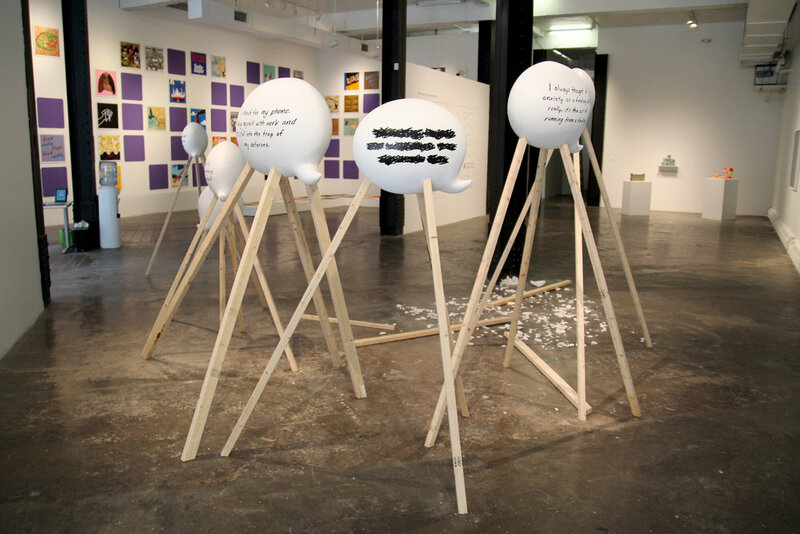 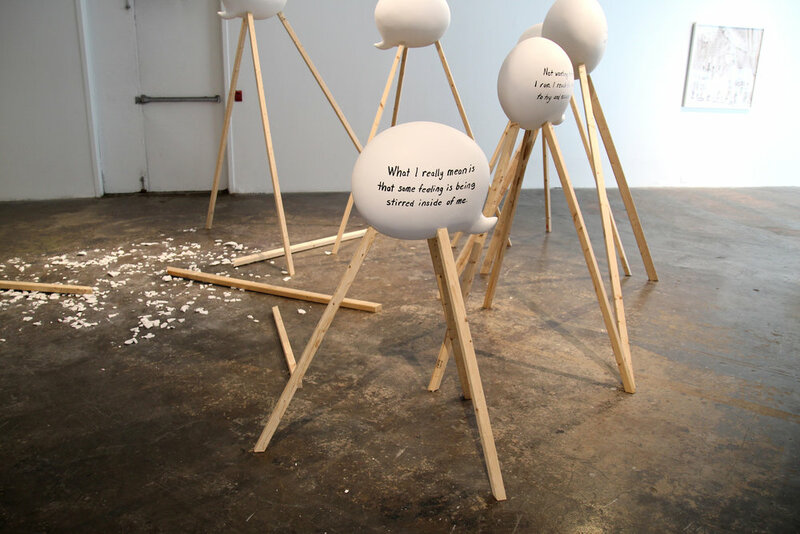 For SPACE Gallery, I created a series of new plaster word balloons suspended by wooden braces. 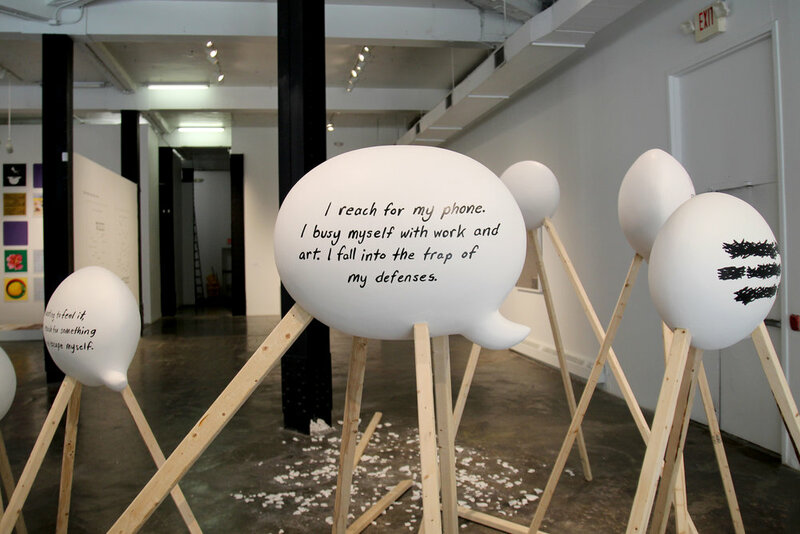 I wanted to continue exploring the physicality of language, and in this case the experience of anxiety. 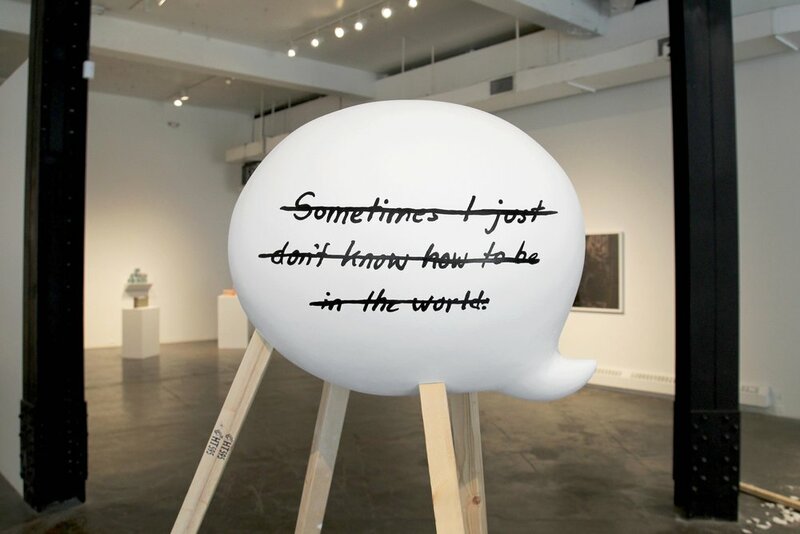 In doing so, the subject and medium become complexly linked to one another.